Dowling Real Estate – TIPS: How far can $5,000 go when renovating? TIPS: How far can $5,000 go when renovating? 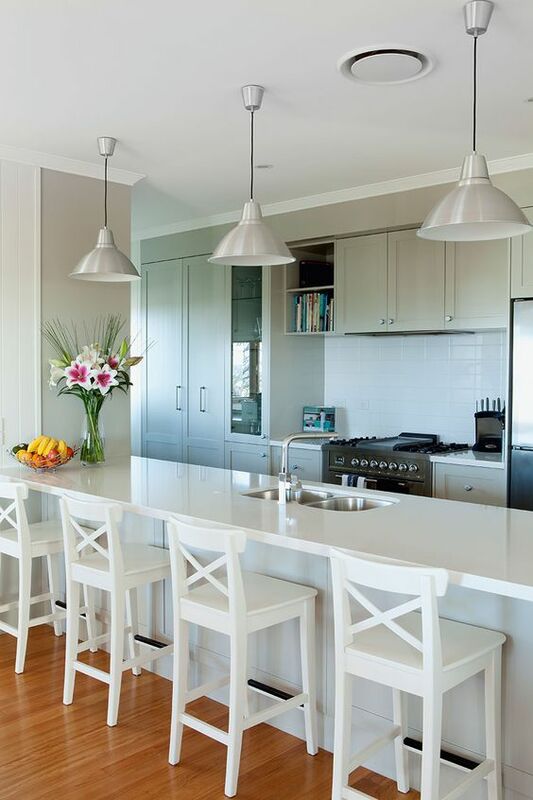 Renovating your home can be extremely expensive and often unaffordable for the average Australian homeowner. Whether you have an overall budget of $5,000 or a budget of $5,000 every few years, here are a few home improvements you can make. We spend about a third of our time in our bedrooms so it’s certainly worth the time and money to renovate this area of your home. If your bedroom is too dark you might like to consider getting a skylight put in for around $1,000 including installation. It’s a relatively inexpensive way of getting natural light into any dark area of your home. Wallpapering and painting can be done professionally and will usually start at about $500, but there are also some excellent DIY options if you want to save your budget for another area of the home. Another option is to buy a new bed frame and mattress. If you shop around you could get both for $3,000. Saving money on a bathroom renovation can be a challenge. If you want to stick to your $5,000 budget, use tiles sparingly as they can be expensive to buy and lay. Stick to a tiled floor and a decorative strip on a wall finished with mildew-resistant paint. Replacing light fixtures, taps, towel racks, robe hooks and toilet roll holders can be relatively inexpensive. Try looking at discount bathroom supply stores – they often have surplus stock at reduced prices. If your bath or sink is looking a bit worse for wear, you may be able to fix it yourself. If it’s made of porcelain, cast iron, or fibreglass you can buy DIY refinishing kits at your local hardware store for about $100. It will take a bit of time and effort, but most DIY experts say it’s very achievable. If you’re not too confident with handling primers and sanders you can get a professional in which could cost anywhere from $2,000 to $3,000. Refreshing the facade of your home can make a big difference. One of the easiest ways to give your house a new look is to refresh the facade. For exterior painting of brickwork, painters will charge anywhere from $15 to $45 per square metre and timber surfaces will be slightly more than that to allow for base coats and extra treatments that brickwork doesn’t require. So the exterior of a single level, average-sized home could be painted for just under the $5,000. Add a few pot plants and a fancy new welcome mat and your house will be looking good as new. If you’re selling your home first impressions count, so this may be a job to get done before you put the property on the market. As a general rule, the smaller your kitchen is, the cheaper the renovations will be. However, even in larger kitchens, it’s still possible to make a few improvements without overstepping the $5,000 mark. If you’re looking for completely new fittings, you could try second-hand websites for some potentially cheaper options. Builders sometimes strip kitchens in brand new homes to suit the new owners. You can get untouched ‘second-hand’ kitchens for a few thousand dollars that would have cost upwards of $10,000 if purchased brand new. If you’re not looking to make any major structural changes you can replace the doors on your cabinets easily and cheaply or you can paint them to freshen them up. Go to a surplus kitchen supply store and have a look for bargain-priced taps and cabinet handles. You can replace these small items for a few hundred dollars. Flat-packed kitchens are also a popular way to go and you can usually install them yourself. The easiest way to give your living room a lift is to tackle the carpet. You can buy carpet for around $20 per square metre and is usually made of polypropylene, which is hard wearing as well as stain resistant and easy to clean. Carpet layers will charge about $20 per square metre, to so if you have a living room that’s about 30 square metres, new carpet should only set you back about $1,500 for the whole room. You can also upgrade your couch quite cost-effectively – you can get a family-sized couch for about $2,000 at most furniture stores. With a $5,000 budget, you could also install basic blinds, which can start at about $100 for a small window.